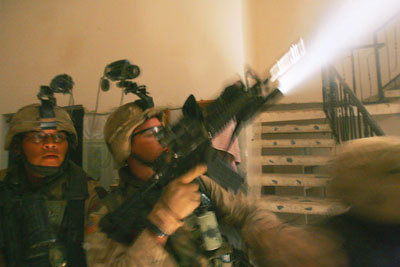 This page is for directors (required for Fundamentals of Directions). How you should begin your work on the show, or how I do it. The best to view this process is to visit Advanced Directing Pages (Spring 1999). Directing a show is no less "individual" process than working on your role, but there are universal rules at play. How you use them is your style. You are not aware of them, you can't "break" the rules and unlikely you can come with anything new. Rule #1: Study what was done before you! my eGroups THR331 Fundamentals of Directing -- next time inb the Spring 2002! Before you are ready to cast your show, you should begin an in-depth study of your play. Make sure you deeply understand each character and what each performer must be capable of. Consider the tone of the play and the kind of actors you see within it. Preparing yourself in this way will give you a great advantage during auditions and casting. Beyond the casting of the play, it is important to study the theme and subject of the play. Literary criticism, if it exists, will help lead you to a better understanding of the playwright's intentions and inform your decisions about your staging of the play. However, don't immediately believe anything you read because every critic is just an interpreter and it is up to you to choose one of their interpretations or to ignore the critics and form your own interpretation of the play. If the play is more contemporary, reviews of past productions may inform you. Pre-production: "Fish in A Tree" and "Mikado"
[1999? ]I decided to put out my notes and thoughts about the shows I am directing this season. For the crew and cast, and also, for directing students as a demo, what I do when I am getting ready to direct. I'm a strong believer in hard preparation, because the more I can get done before rehearsals, the more freedom (and fun) I can have directing actors. In fact, I discovered that all the problems in all my productions have the same source -- the Pre-Pro Time. I wasn't ready to direct! I wanted to direct "Hamlet" since I was sixteen.... and I am not ready yet. 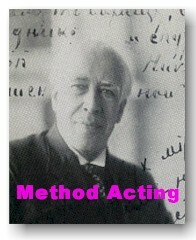 (Meyerhold talked about directing "Hamlet" his entire life and never did it). What does it mean to be ready for a show? Maybe you should check out the Concepts & Conceptualization page on my FilmSite. Dada & Futuristic Texts To throw our actors (and myself) off the ground of realism and musicals. No-budget, no-set, no-play production. You don�t have to have a time-travel machine, in order to visit the future; all you have to do is go the past. Our century had its own prophets (we call them �artists�), who saw the future (i.e. our PRESENT) in their dreams. They called themselves �futurists� because they believed that tomorrow is always better than yesterday (don�t you think so?). They worshipped speed and cars, bridges and skyscrapers, airplanes and electricity (don�t we all?). Than came World War I with all the wonders of technology. You know the story. The Dada movement is considered to be a nihilistic reaction, but maybe it�s just a sober look at what progress does offer us. And it does it with a smile. Our show is a collaborative effort, free in style, eclectic and improvisational. Actors and directors should learn how to be free. Non-realistic frame of mind gives you this freedom from logic and restrictions. And you know, in the land beyond the �normal� there are many things to learn and enjoy. If you think that TV show �about nothing� (Jerry Seinfeld) has no roots in its appeal, come to see where it came from. If you are tired of news and politics which make no sense, welcome to the world where paradox has a right to exist, where you can live with contradictions and unsolved mysteries. Do you know why we laugh? Because it�s life and we have to live it through. For your visual preparation for directing visit National Graphic Design Archive and use Search for your theme/topic. Check out their Dada images! A MAN enters, busy, preoccupied. He takes off his overcoat, his hat, and walks furiously. MAN: What a fantastic thing! Incredible! (He turns toward the public, is irritated to see them, then coming to the apron, says categorically.) I . . . I have absolutely nothing to tell you... Bring down the curtain! Check DADA/FUTURISM/SURREALISM Sourses & Resources, Links and sites. Dada, artistic and literary movement reflecting a widespread nihilistic protest against all aspects of Western culture, especially against militarism during and after World War I (1914-1918). The term dada, the French word for hobbyhorse, is said to have been selected at random from a dictionary by the Romanian-born poet, essayist, and editor Tristan Tzara. Dada was originated in 1916 by Tzara, the German writer Hugo Ball, the Alsatian-born artist Jean Arp, and other intellectuals living in Zurich, Switzerland. A similar revolt against conventional art occurred simultaneously in New York City led by Man Ray, Marcel Duchamp, and Francis Picabia, and in Paris, where it became the inspiration for the Surrealist movement. After World War I the movement spread to Germany, and many of the Zurich group joined French Dadaists in Paris. The Paris group disintegrated in 1922. In their efforts to express the negation of all current aesthetic and social values, the Dadaists frequently used artistic and literary methods that were deliberately incomprehensible. Their theatrical performances and manifestos were often designed to shock or bewilder, with the aim of startling the public into a reconsideration of accepted aesthetic values. To this end, the Dadaists used novel materials, including discarded objects found in the streets, and new methods, such as allowing chance to determine the elements of their works. The German painter and writer Kurt Schwitters was noted for his collages composed of waste paper and similar materials. French painter Marcel Duchamp exhibited as works of art ordinary commercial products such as a store-bought bottle rack and a urinalwhich he called ready-mades. Although the Dadaists employed revolutionary techniques, their revolt against standards was based on a profound belief, stemming from the romantic tradition, in the essential goodness of humanity when uncorrupted by society. Dada as a movement declined in the 1920s, and some of its practitioners became prominent in other modern-art movements, notably surrealism. During the mid-1950s an interest in Dada was revived in New York City among composers, writers, and artists, who produced many works with Dadaist features. In many ways Dada was a reaction to Futurism with its admiration of force, time, machine, aggression and future (See Marinetti). First, WW I taught Europe a lesson, next -- the Russian Revolution. WW II ended our dreams of Utopia. In the late 50s Absurdism came with the final virdict (Beckett). Aesthetics of Dada is an artistic expression of primitive existentialism, when the nonsense is the only true picture of life. The movement is very decadent and anti-American in nature. Present punk culture perhaps doesn't know about its roots. Beatniks didn't. Nice feature of Dada; it takes the End with a smile. MAN:  I feel so sick. WOMAN:    You soil my home. WOMAN:    And I Spit at you. MAN:  And I must puke. WOMAN:    And I Spew into Your trap. MAN:  You, you console me. WOMAN:    I will beat you. MAN:  Oh, you are good. WOMAN:  (Beating him.) How it whizzes. Go to the costume shop and look at Tara's drawings -- and you'll know who he is! His Son, disguised as a wondering minstrel, and in love with Yum-Yum. Lord High Executioner of Titipu. An Elderly Lady, in love with Nanki-Poo. Yum-yum ko-ko you! If you missed it, this is A COMEDY! Since it's not "real" Orient, but the British parody of the Far East Fantasy World, we have to find how the irony could work for the comedy. Set and costumes are from the caricatures on Kabuki and Noh. Kabuki was created at the same time, when on another famous island the Globe theatre was built. They say that it was started in Kyoto by a woman! No women at that time were on stage on any island. "Early Kabuki was much different from what is seen today and was comprised mostly of large ensemble dances performed by women. Most of these women acted as prostitutes off stage and finally the government banned women from the stage in an effort to protect public morales...."
What wonders the censorship could do! Kabuki became a dramatic art form -- men playing women: it's already a role! Like today's movies, Kabuki was the main form of entertainment: dance, music, crime stories. The close relationship between Kabuki and the puppet theater -- big puppets on stage, full size, when you don't know who is alive and who is a pupet. Actors adapted puppet plays for the stage and created stylized movements to mimic the puppets themselves!That's the foundation of theatricality! onnagata acting school -- everything is choreographed! The decadence of the ghost plays and beautification of murder scenes -- nice. What to do with the music? When they sing (European style), they are no longer Kabuki parody, they are AMERICANS -- actors. Here is Brecht for you with his alienation effect! What did I tell you? Go, go to the Mikado page. To the actors: The Complete Vocal Score (1 & 2 Schirmer Edition) is in the Library. [This is an old page; mostly for Dada project.] What a mess this page! How long does it take to rehearse one page (min)? How long before the rehearsals directors should begin their pre-production period? 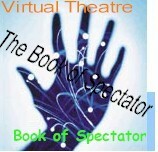 See my directing showcases directories: Hamlet, 3 Sisters, 12th Night, Don Juan and so on. See FilmMaking 101 for more production oriented issues. Each show I direct since 1999 has its own directory (in place of this one page) with the pages for main characters, set, light, costumes, i.e. extended director's notes. -- When you get a group of actors together for a new production, on the first day, could you tell us briefly what happens? Peter Brook (PB): I used, for years and years, to start by lining them up, showing them a model, and making a speech. Then one day, I noticed that not one of them was taking any notice of what I was saying. So after about twenty years I thought, "That�s not the way to start". After that we tried many methods. In the sixties, with the international group, we did something which worked then, but everything must change according to its time. The international group came from all parts of the world to this space, and they�d no idea what was awaiting them or who they were going to work with. As they came through the door, I said "Close your eyes". I then led them into the space with their eyes closed and put them together in couples. Then I said, "Feel the other person", so everybody did that and after about five minutes I said "Open your eyes". When you have fondled somebody for five minutes with your eyes closed, you can be sure that a lot of ice has been broken. At other times we�ve had a big meal. In Paris we started a production of The Cherry Orchard with a big lunch and a lot of vodka. A marvellous technique for getting going. The best occasion was when we were doing The Cherry Orchard in New York. We had actors of all ages and I thought, I must start by doing exercises, but I know that 50% of them are not going to want to do it. If I say now, "Right, we all start doing an exercise", there will either be a very bad feeling or they�ll do it so badly that it isn�t worth doing. How can one lead people who don�t want to do exercises and have never done them, into it? Especially when you have a range from young actors who are bursting to do it, to old ones who have never done anything like this in their lives and think this is a very suspicious newfangled thing. How can one go about it? I came to the rehearsal room with no solution at all. It was freezing cold, in the middle of winter, and New York was frozen. -- Could you speak to us about, over the years, watching the acting process? PB What I�ve learned and observed is that an actor, like every human being, has a very thin part of him which he uses all the time, and which he considers to be himself. And there�s a very deep part of him, which isn�t only the Freudian sub-conscious but something infinitely more than that. There is a vast area which is himself that he doesn�t know. If the actor uses too soon what he thinks is himself, he doesn�t go beyond that area. He invents, he creates, sometimes very strikingly, but within this narrow area that he thinks to be himself. If, by all sorts of methods of work, you can create a climate of confidence, security and trust, not only between the actor and the director, the actor with the other actors, but the actor with himself, by his feeling he can experiment and take risks, then a new process starts. The challenge of the role begins to open up what one actor once called a "number of drawers" in himself that he has never opened. This is something very simple and clear. An actor takes a part, for instance a Shakespeare part, and before the first rehearsal, starts having ideas about it. "What can I do with this part?" And that always has in it a touch of superiority. I�m playing, maybe, Osric, or Rosencrantz, or even a part like Othello. I look down on him and say "A poor misguided man". I�ve met actors playing King Lear who say "Well I had to find out why the poor old bugger did such an idiotic thing in the first scene". If the actor does that, he is working from himself as he knows himself, and he believes himself superior to the part. But if you take the opposite view, whatever the part is, when you start, that part is greater than you, otherwise it isn�t worth playing. If you�re playing a fool, he is more richly foolish than you. If you�re playing a mean person he is more intensely mean than you. And if you�re playing a very rich and extraordinary character, that character has feelings and passions and depths that are well beyond you. If you believe that, then you are experimenting all the time, going towards the character, realising that you can�t reach the character. Then the character comes towards you and says "No, there is something that you thought you could never understand but you�re beginning to find it".